AARRR vs. RARRA: Which is Better? 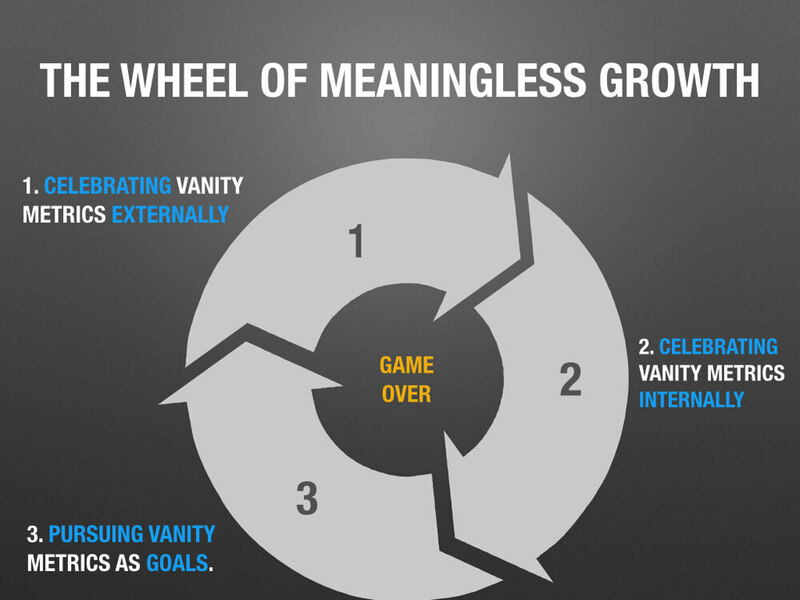 In 2007, Dave McClure presented a model for business growth that has more or less been the standard over the last ten years. In his presentation “Startup Metrics for Pirates,” McClure laid out the AARRR method for tracking product marketing and management. This system has helped thousands of entrepreneurs navigate the shark-infested waters of startup growth and has generally been considered the go-to method for app growth. And in 2017, it’s a great way to sink your app startup before you even make it out of the harbor. It’s not that AARRR doesn’t contain some good advice. It does, and we’ll review the best this model has to offer shortly. But there’s a MASSIVE problem. AARRR focuses on acquisition. It was written in a time where acquisition was cheap and many key channels that are now saturated were easy to exploit and scale. Today, the market is different. 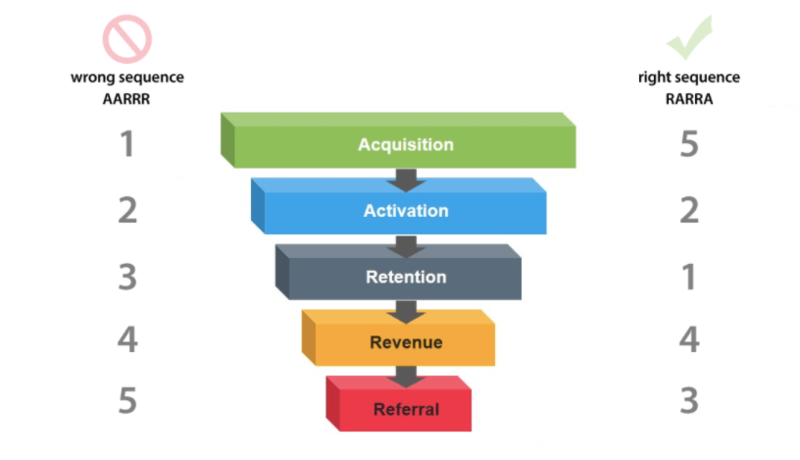 The REAL key to growth is user retention, not acquisition. Today, we’re going to tell you why Mobile Growth Stack’s RARRA is the new standard for mobile app growth — and the model you should be using to successfully market and manage your app. But before we dive into the differences, let’s look at why AARRR was so popular in the first place, and what we can learn from the previous standard-bearer. The schematic lays AARRR out from top to bottom in a logical progression. It has an intentional, linear order. And ultimately, it’s just another way to look at your customer funnel. You start by winning a new customer from any number of acquisition channels. Next, you “activate” them through onboarding, seeking to give them that elusive “aha moment” with your app. Once they’ve been activated, the goal shifts to retaining them. You want them to stick with you long term. Next, you leverage your relationship to generate referrals and multiply your reach from any given customer. And finally, you make money. Hopefully lots and lots of money. This is how users engage with an app. It’s what a customer journey should look like and how a conversion funnel should be set up. It’s NOT how a growth model should work. Acquisition and marketing are fairly synonymous — and since most growth marketers are marketers, acquisition has become the lens through which app businesses are attempting to grow. 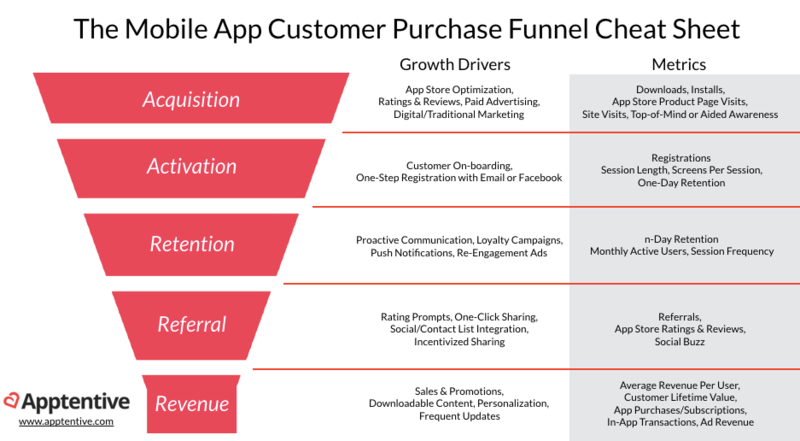 But as we’ve discussed, acquisition is the wrong approach to growth for mobile apps. For most apps, acquiring a new user is virtually meaningless. The average app loses 77% of its daily active users (DAUs) within the first 3 days after install. Within 30 days, it’s lost 90% of its DAUs. And by 90 days, that number jumps to over 95%. In other words, if we’re operating like the average app and acquire 100 new users, only 5 of them will still be using our app 3 months later. 10 years ago, that might have been okay. In 2008, there were only 500 apps in the App Store. If you created a non-copycat app, odds were you’d have very little competition. And with Apple driving millions of users to the App Store, acquisition was incredibly cheap. Today, the landscape is radically different. 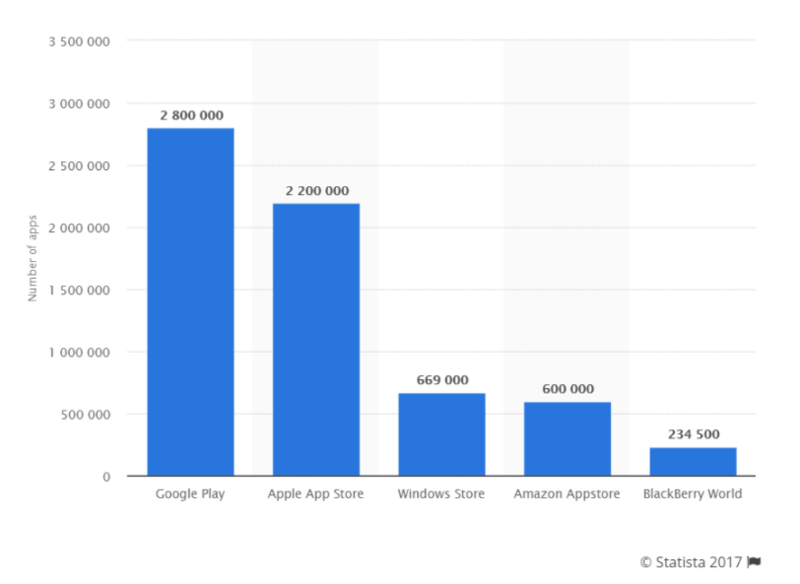 There are currently 2.2 million apps in the App Store and another 2.8 million on Google Play. Competition is fierce, and acquisition costs are no longer dirt cheap. Simply publishing an app is no longer a guaranteed way to make money. “1 million new users” sounds great to third-party publications, and it’s easy to sell in a boardroom. Pursuing 5 million new users this year seems like a quality, data-based goal to set, and a profitable one to achieve. But that 5% retention rate means “5 million” is actually just 250,000. And even as acquisition metrics are met and the marketing team pats itself on the back, business growth is plateauing. Acquisition is no longer king. We need a better model — and that model is RARRA. As we discussed earlier, AARRR is modeled after a funnel. RARRA is Thomas Petit and Gabor Papp‘s reworking of the core pieces of AARRR to prioritize what’s most important, rather than what comes first. 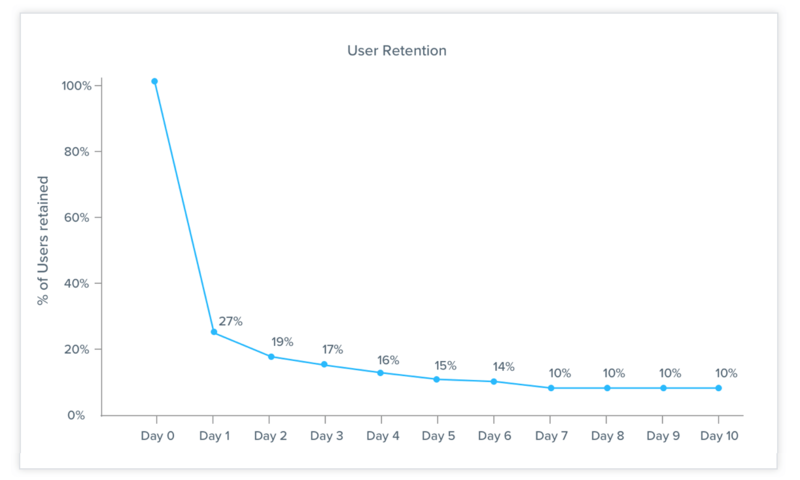 Retention: Give your customers incredible value so they will use your app over and over. Activation: Make sure new users see your app’s value the very first time they launch it. Referral: Get them sharing and talking about your app. Revenue: Hey, make some money on the success. Acquisition: Take everyone who’s on your app and use them to acquire even more users. Or buy users. RARRA focuses growth through the metric that matters most: retention. Can you keep users coming back to your app? If the answer is yes, then you’re actually building a customer base. If the answer is no, you’re essentially just renting traffic. No matter how many people download or try your app, it ultimately doesn’t matter if you can’t keep them coming back. When we prioritize retention, we’re building a real, permanent user base. In 2013, Gillian Morris and two co-founders launched Hitlist, an app that alerts users to travel deals. When the app was released, it quickly garnered a lot of media attention, featured on The Next Web, Lifehacker, the New York Times, and even a popular Greek travel blog. User response was overwhelmingly positive, with many users going out of their way to comment on how much they loved the app’s addictive, Tinder-esque interface. Tens of thousands of new users were flooding to the app, but there was a big problem. Three months after the app’s launch made the press rounds, fewer than 5% of users remained active. At this stage, several of Hitlist’s investors began pushing the AARRR model, instructing Gillian and the team to invest in Facebook ads and build out their acquisition channels. Fortunately, many of the other investors pushed RARRA instead. So the Hitlist team began focusing on retention. They overhauled the UX (a favorite feature of the initial design) and added elements that better facilitated ready buyers as opposed to bored browsers. Based on the AARRR acquisition-first model, this new rollout would look like an absolute failure. But the goal wasn’t acquisition, and when the team looked deeper into the data, they found that Hitlist 2.0 was succeeding in all the right ways. 42% of new users were still using the app a week after download. The percentage of monthly active users (MAU) booking actual deals rose from less than 1% to over 10% — many of whom were purchasing multiple deals per month. A year later, the company had a quarter million users in 163 countries, booking over $6 million in travel deals. When apps focus on acquisition, they end up with high churn, higher acquisition costs, and active user growth plateauing over time. When we focus on retention, active users stack over time, driving growth that builds on itself instead of petering out. Now let’s talk strategy. 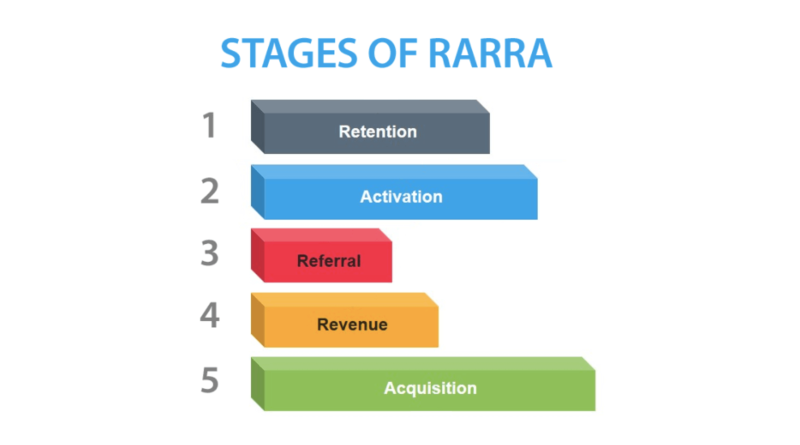 How do we build a mobile app growth strategy using the RARRA model? 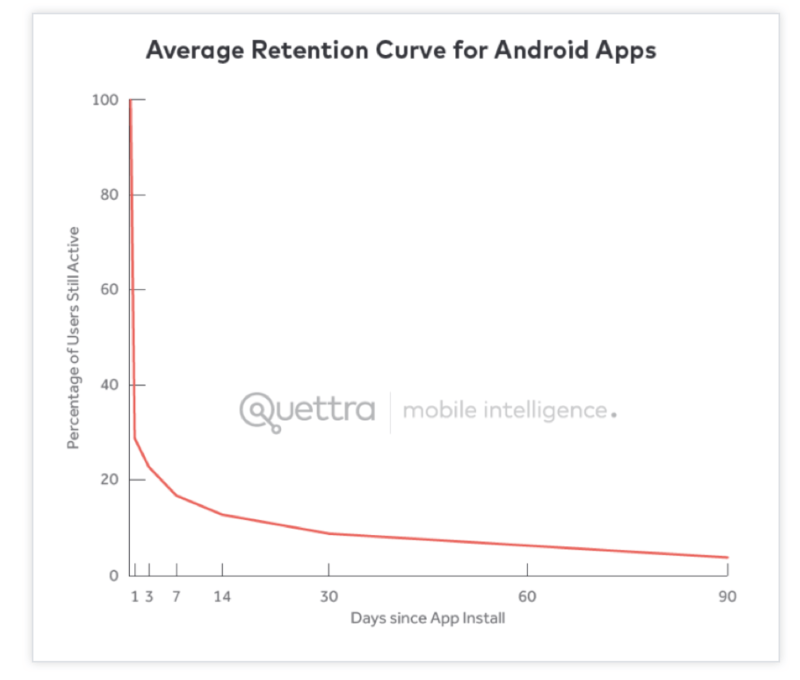 As we’ve mentioned, retention is the foundation for mobile app growth. And it should be the lens through which you view every aspect of your marketing strategy — from acquisition to referral. The first step is to take stock of your app’s current retention rate and the major drop off points. 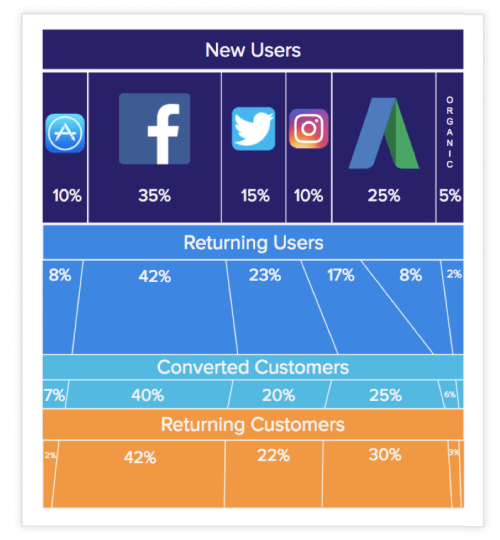 Calculate your N Day Retention to see how many users are coming back to your app and identify exactly where you’re losing the most users. Then you’ll know where to focus your attention. Once you’ve won over a new user, how do you keep them coming back to your app? By proving your app’s value and encouraging them to develop habits around its usage. Start by finding out how your app is being used by those who have already made it a part of their lives. Who are your most successful long-term users, and what do they do in your app? What features do they use? What times of day are they most active? What do they do in the first 48 hours after install? 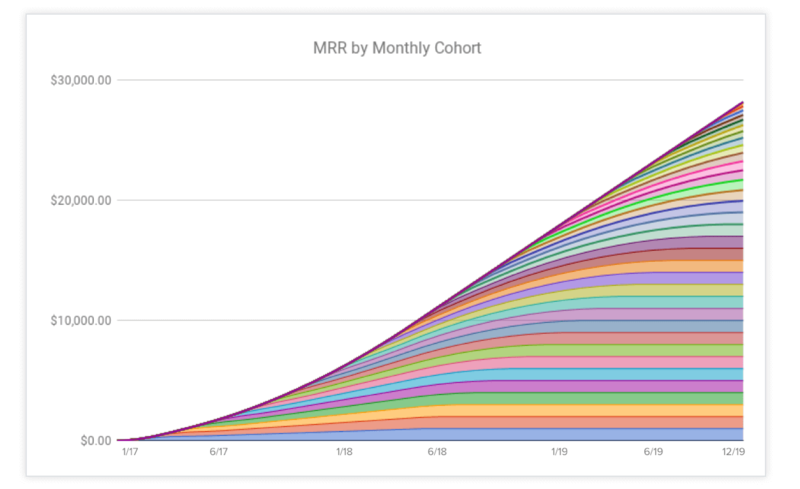 Use cohort analysis to find your app’s ideal user journey and encourage new users to follow that path. The best way to keep users coming back is to understand what they love about your product. Identify and refine your most popular features. Improve your user experience. Send personalized push notifications that bring users back to your app to complete key actions. And most importantly, listen to your users to solve common problems, quickly fix bugs, and keep improving your app. You’ve only got one shot at activating new users. So that makes providing an enjoyable first experience with your app all the more important. You didn’t create an app just to have someone download it — you want them to take certain action. What is that action for your app? Is it making a purchase? Sharing a photo? Completing a product tour? Adding a friend? Upvoting or commenting on content? Once you’ve defined your activation milestone, you can focus on building an onboarding experience that successfully gets new users to that point. You may think that a well-designed UI means you don’t need an official onboarding flow. But unless you have a super simple interface, you need to guide new users through their first encounter with your app. Effective onboarding helps users spend less time figuring out the how of your app and get right to the why. Use UI overlays, simple walkthroughs, and visual hints to help users experience the key benefit of the app as quickly as possible. Just keep it simple: don’t cover every single feature, and don’t annoy users by explaining obvious elements like zooming or scrolling gestures. Once you’ve guided a user through a simple onboarding, help them get to the next milestone as quickly as possible. End your onboarding flow by prompting them to take that next action: completing a profile, adding payment or location info, opting in to push notifications, etc. According to a study conducted by Nielsen, 92% of people trust referrals from friends. By incentivizing users who already like your product to recommend it to others, you can rapidly expand your user base and provide powerful social proof to prospective users. Plus, referral programs typically have a much lower cost per acquisition than other channels, and retention rates for referred users are usually higher. 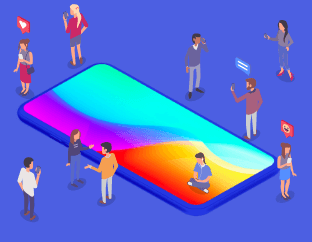 By offering referral rewards like cash back or discounts on future purchases, you can encourage users to invite their networks and keep them active on your app. Two-sided incentives can also be a powerful way to keep current users engaged and attract new users. Take Airbnb and Uber as examples. By offering rewards to both current users and those they refer, these companies are creating a viral loop that turns their referral programs into a powerful customer acquisition engine. 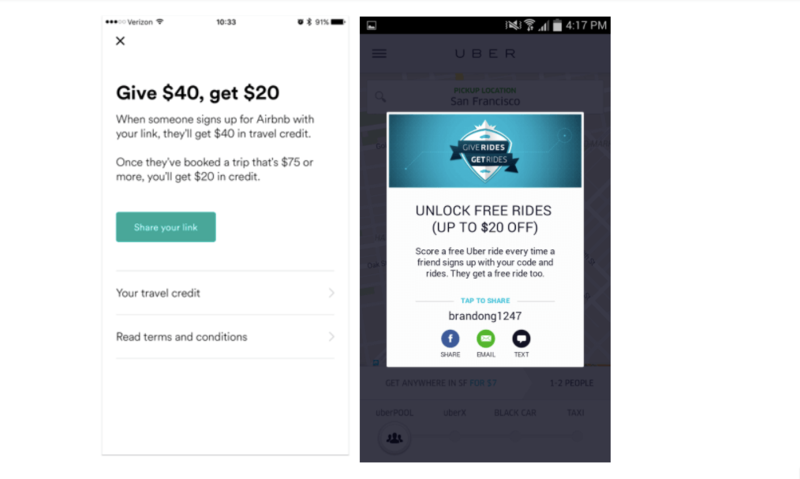 Build interest in your referral program through email reminders, or use in-app messages like Uber’s above to catch users’ attention and give them a quick way to share their unique referral link. A weekly or monthly email that reminds users of your app’s value is one way to keep users coming back to your app. Summarize that week’s progress or achievements, or calculate how much money they’ve saved using your app. Use behavioral data to send users personalized offers on related products or services, product bundles, and popular or trending products. Create upsell opportunities by offering free shipping or special discounts with a minimum purchase. 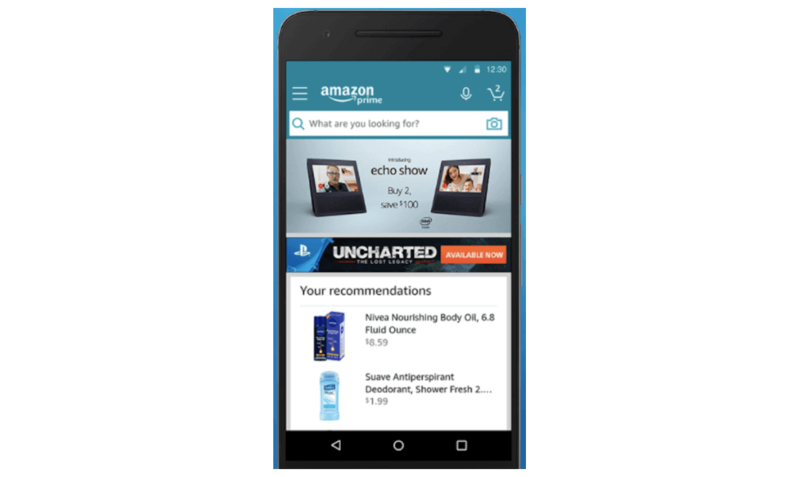 Take Amazon’s mobile app: it prominently features recommended products based on a user’s purchase history, ratings, and browsing behavior. Understanding what users want helps you prioritize your roadmap to focus on the aspects that actually fuel retention and growth. It’s essential to improving your user experience and knowing how likely users are to recommend your app to others. Knowing how many happy customers you have — and who they are — is key for keeping churn rates low and expanding your user base through app store ratings, referrals, and word of mouth. 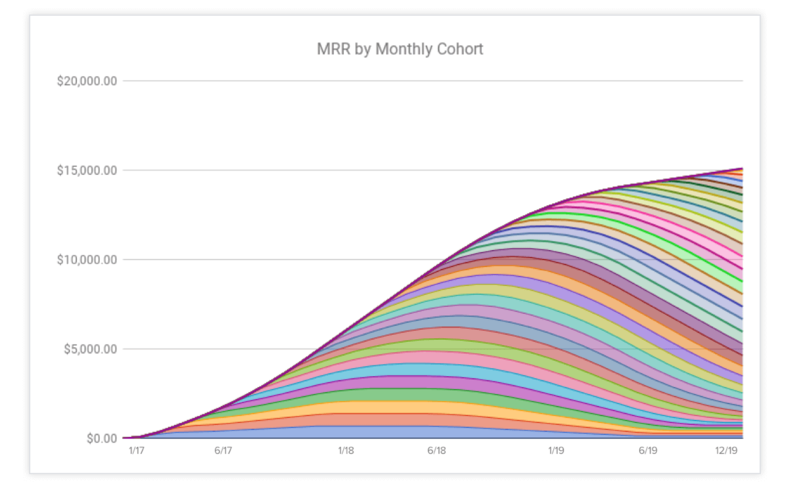 Instead of looking at all of your users in one broad view, use cohorts to break them down into groups and find out which acquisition channels are performing the best for your app. Note: I didn’t say find out which channels are bringing in the most new users. Instead, focus farther down the funnel to find out which channels are bringing in the most loyal users. In this example, Facebook and Google Ads are performing the best when it comes to winning new users. But what if these new users aren’t coming back, or converting into customers? By looking further down the funnel, we can see where most of our returning and paying customers are coming from. Facebook accounts for 40% of our paying customers, but new users acquired via Instagram are converting at a higher rate. Google Ads campaigns get us 25% of our new users, but only 6% of them become paying customers. It’s pretty clear we should ramp up efforts on Instagram and decrease our Google Ads spend. 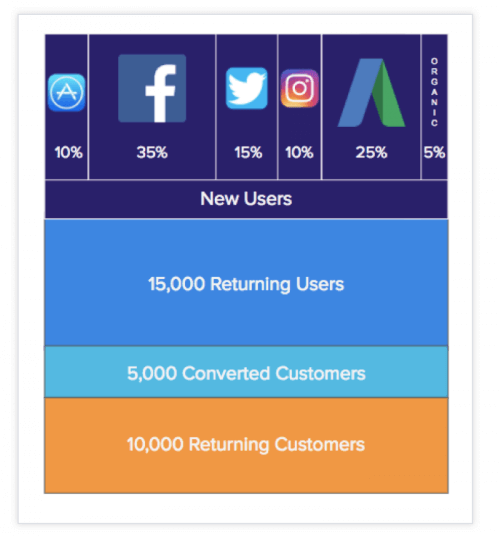 Once you’ve proven that you can retain users, you can ramp up marketing efforts to add new users at the top of the funnel — and start growing your app exponentially.